Play Slots and win real money with no deposit €5 and a first deposit bonus! Here’s why I’m fond of online Casinos - you don’t always need to play with your own money...to win real money. Thanks to all the no deposit bonuses you can get online. Like the one at BetZest Casino. 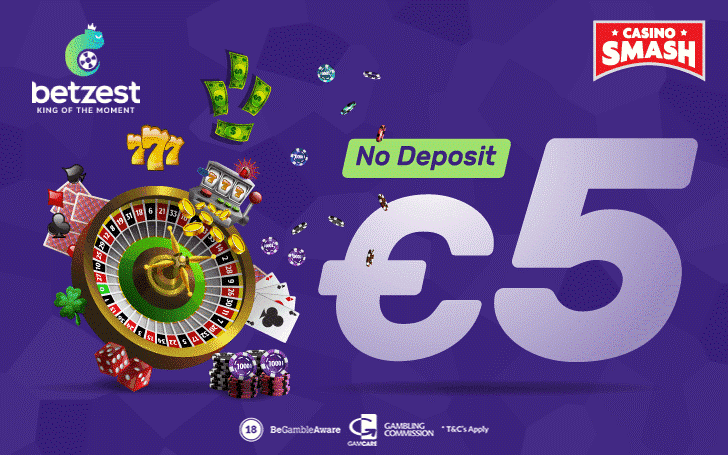 It’s a €5 no deposit offer for any Slot game you like, be it Berryburst or Jackpot 6000. Betzest features so many great games that it will be super-easy for you to find something to play. 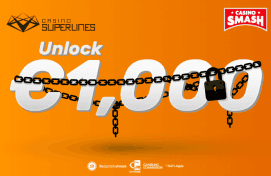 Now, as you have extra €5 in your account, pick a real money Slot you like the most (you can find the full list here) and go wager the bonus 50 times. This way you’ll be able to withdraw your wins. Additional T&Cs apply. Time for the REAL Deal: 100% up to €200! If you want to spend more time at BetZest Casino, look into their Welcome Bonus that you can claim after the no deposit offer. It’s a 100 percent bonus that goes up to €200. In other words, it doubles the money you deposit - and the maximum amount of extra cash you can get is €200. Use the extra money to play Slot machine games. Other Casino games don’t contribute to the wagering, which is 50x the bonus. Keep in mind that you shouldn’t procrastinate with this one. The extra cash is valid for 14 days after you claim it. You must complete the wagering until the time ends. As for now - you can go to BetZest Casino to familiarize with the platform and claim the no deposit €5 for your favorite Slot. Bonus info: terms and conditions apply to the offer. If something isn't clear, have a look at our review of Betzest for the T&Cs in full. The offer on this article might have expired by the time you read it. Please refer to the review pages for the latest bonuses and promotions available.